Onfim was an ordinary boy who lived in Novgorod, in Russia, during the 13th century. As was common practice at the time, he wrote letters and drew pictures on birch bark with a sharp stylus. Accidentally, Onfim created fascinating archaeological data which was discovered centuries after he lived. This unintentional time capsule has provided a unique insight into life in Medieval Novgorod. 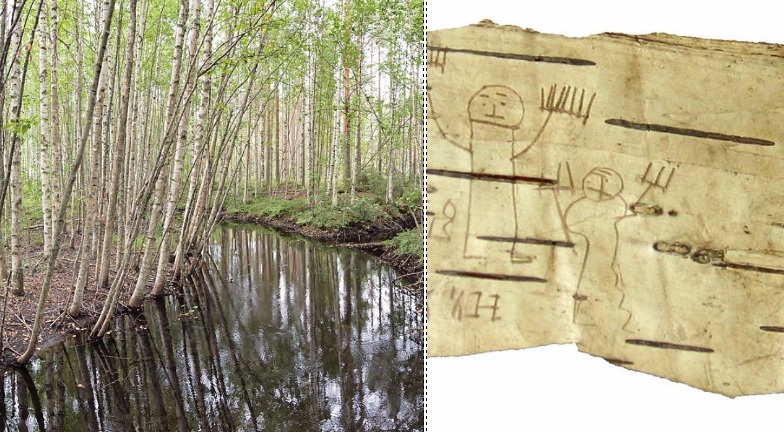 Onfim was a six or seven-year-old boy who preserved his personal messages, IOUs, love letters, shopping lists, syllables, notes, and homework in the clay soil of Novgorod. He also kept his drawings which depicted everyday experiences such as fights between him and his teacher. Onfim’s notes are valuable because of their childish honesty which describes the life in Medieval times impartially and can be studied as social history. Most records of the past are the writings of politicians, theologians, and historians, but children’s preserved work tells more about the life of “actual” people. 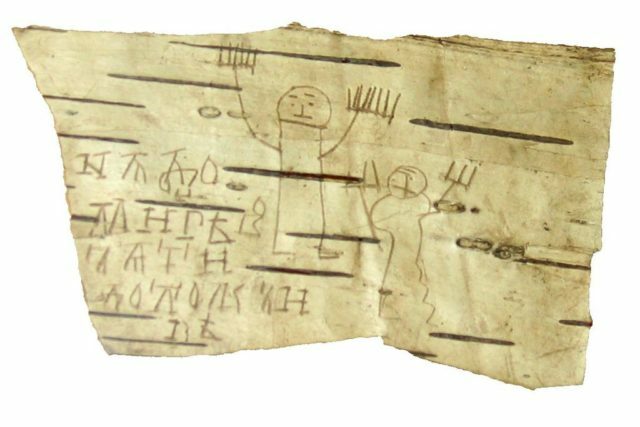 The collection consists of seventeen birch bark items of which twelve are illustrations with text, and the remaining five contain only text. Scholars have studied the amusing collection and analyzed Onfim’s work. In one of them, he had illustrated a knight on a horse, stabbing someone on the ground with a lance and it was concluded that Onfim drew himself as a knight. Most of the preserved work is part of his homework – he had practiced the alphabet and had written psalms including phrases such as “Lord, help your servant Onfim” and fragments from Psalms 6:2 and 27:3. Most of his work contains citations from the Book of Psalms. 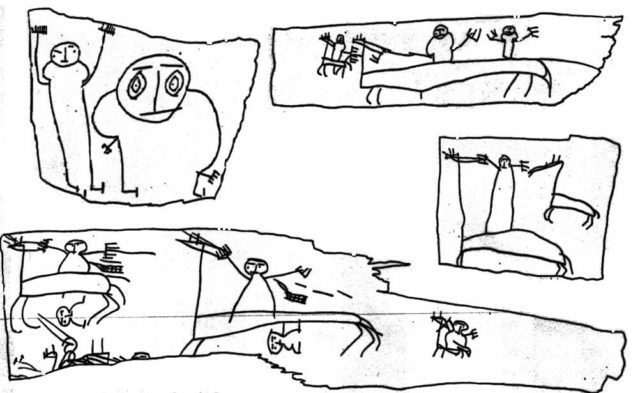 The boy left drawings of knights, horses, arrows, and slain enemies, and apparently, he liked to illustrate people more than anything else. On one of the drawings he had illustrated himself, his mother, and father, while on another one he had drawn a portrait of himself as a fantastic animal. There is also one of the children playing around a tree, while one of them is hidden behind the tree. There are notes on the illustrations, one saying “I am a beast” and another “Greetings from Onfim to Danila.” He had also illustrated his father and written “This is my Dad! He is a warrior. When I grow up, I want to be a warrior just like him!” We hope that he did and that he was a happy knight when he grew up.